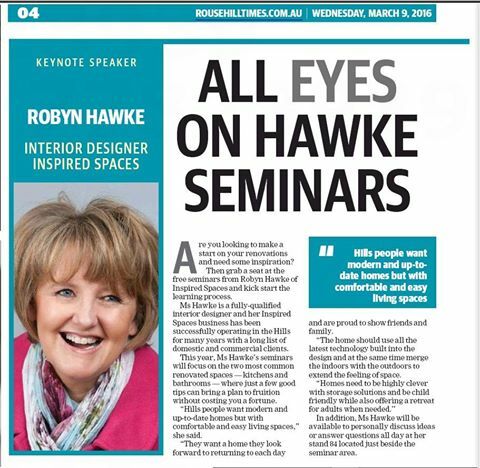 Local paper Rouse Hill Times did a write up on our very own Principal Designer Robyn Hawke of Inspired Spaces. Robyn was a keynote speaker at the Hills Home and Lifestyle Expo at Bernie Mullane Kellyville on the 12th-13th March 2016. Robyn presented seminars on Kitchen and Bathroom renovations offering her expert advice and opinion. Check out the article below for further insight.